For at least two centuries, fashion and art have maintained a competitive love-hate relationship. Both fashion and art construct imaginary worlds, and use a language of style to invigorate beliefs, perceptions and ideas. Intimate or antagonistic, the ties are ever-present, if not strengthening. Until now the crossovers of fashion and art have received only scattered treatment and suffered from a dearth of theorization. As an attempt to theorize the area, this collection of new and updated essays is the most well-rounded and authoritative to date. Some of the world's foremost scholars in the field are assembled here to explore the art-fashion nexus in numerous ways: from aesthetics and performance to masquerade and media. Original and inspiring, this book will not only secure 'art-fashion' as a discrete area of study, but also suggest new critical pathways for exploring their continuing cross-pollination. 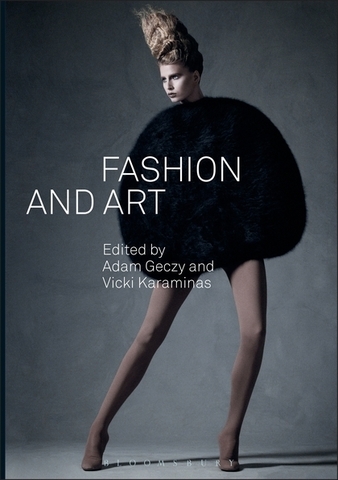 Fashion and Art is essential reading for students and scholars of fashion, art history and theory, cultural studies, sociology and related fields. Chapter sixteen in Fashion and Art, alongside eighteen other co contributors.